ER nurse Paige Winters has a knack for working with difficult Dr. Luke Sherman. But when the demanding physician oversteps one too many times, Paige snaps and gives the doctor a dose of his own bitter medicine, then transfers out of the ER. So why is she so miserable? And why can't she stop thinking about handsome Luke? and the truth in her words. Now that she's gone, he's missing his best nurse and teammate. Paige was the one person who could light up his days. And Luke realizes Paige is the only prescription he's ever needed. 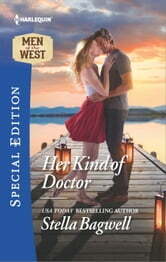 But can the smitten doctor convince her that love really is the best medicine?